Welcome Home to Berkeley Crossings! 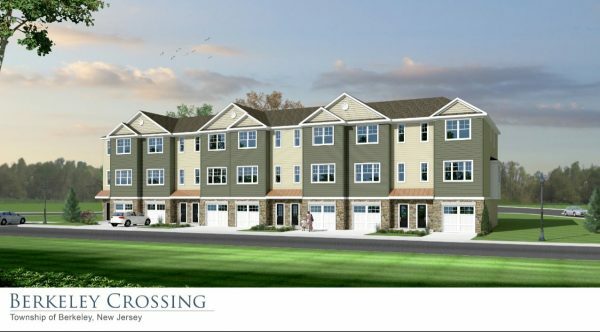 This 24-unit townhome community boasts a beautiful park like setting in Berkeley Township, minutes from Route 9, the Garden State Parkway and the beautiful waterfront town of Ocean Gate. Each townhome features an open floor plan, two large bedrooms with en-suite baths, exterior decks, storage room and a one-car garage. The kitchen offers wood cabinetry, granite counter tops and stainless steel appliances. Bathrooms are beautifully finished with Kohler fixtures and faucets and ceramic tile floors. Additional features include gas heat, central air, public water/sewer, tankless hot water heater and a 10-year home builder warranty. Prices start at $229,900! Call Patrick Meehan Jr directly at 609-661-1604 for more information today!